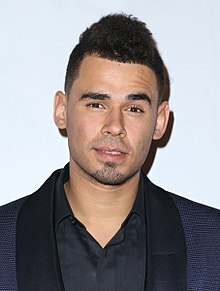 Nick van de Wall, better known by his stage name Afrojack, is a Dutch music producer and DJ. He was born and raised in Spijkenisse, the Netherlands. Afrojack's song "Take Over Control", which features Eva Simons, has charted in a number of countries. he was listed at number 19 on DJ MAG's top 100 DJs of 2010. ↑ 2010 ⟨/tuːθaʊsəndəndtɛn/⟩ was a common year starting on Friday, and ending on a Friday. This page was last changed on 16 March 2019, at 18:30.